Commissioner Mike Kreidler and representatives of the American Indian Health Commission signed a landmark contract July 21 that is designed to improve health care for Washington state Indian tribes. 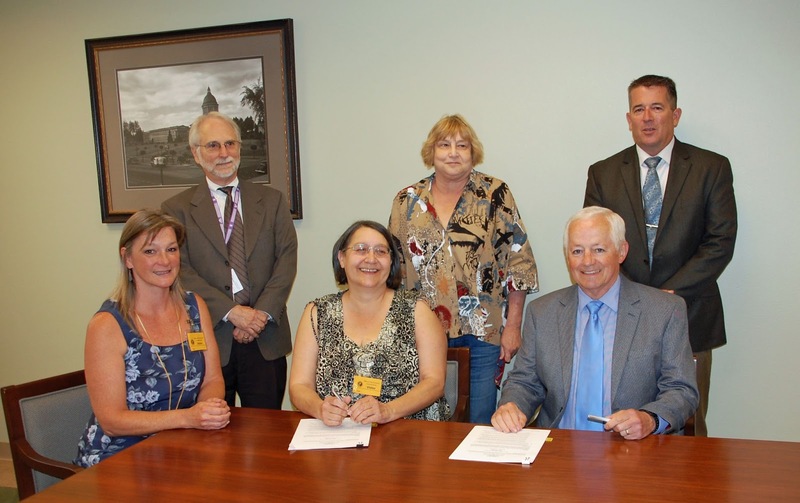 The contract will fund and support training for tribal staff and members regarding their Medicare insurance options. The support comes through the Statewide Health Insurance Benefits Advisors program, better known as SHIBA. Kreidler’s office manages the program in Washington. Funding is split by the state and federal governments. Signing the contract on behalf of the tribes was Leslie Wosnig of the Suquamish Tribe. She is also secretary of the American Indian Health Commission. Vicki Lowe, grant manager for the Jamestown S’Klallam Tribe, also attended the event. SHIBA provides free and unbiased information about health care access and coverage in Washington. The contract with the American Indian Health Commission will support several activities, including helping tribal elders understand their Medicare options and get assistance with prescription drug plans. The program serves more than 100,000 state residents annually through volunteer advisers.